Nerdist Podcast Live at SDCC! If you’re looking for something to do Saturday night during San Diego Comic Con I have a new off site event to share! You can attend the Nerdist Podcast Live with Chris Hardwick! It’s Saturday, July 23rd at 8pm. The event will be held at 4th and B. It’s General Admission and 21+. You can snag a ticket for $34. The White Collar Fan Meet-Up now has a location, date and time! The event will be on Thursday, July 21st at 8pm at The Lime Tequila Bar! I checked out the menu and it looks like a tasty place! The WB has finally set up their Comic Con 2011 fanpage! It’s a little bare at the moment but the current video fills us in on some key information. As of right now they plan on having “The Big Bang Theory,” “Vampire Diaries,” “Chuck” and more. They even mentioned “Human Target” but as we all know, Fox has canceled that show. I doubt they’ll still be appearing. We learned that just like last year, there will be special editions of TV Guide featuring various WB shows! Also, one again The WB will be the sponsor of the Comic Con bag! I wonder which shows will be featured this year on the swag bags? Warner Bros. is excited to once again return to Comic-Con in San Diego this July. We’ll have even more TV shows, new games, films and stars at The Con for the panels, signings and available for sampling. We are working hard on the designs for the 2011 Comic-Con WB booth and we’ll be introducing a new ticketing system this year for the signings and panels. Please check back here for developing news, new videos each week and more information about the schedule. We look forward to seeing you in San Diego, or having you follow us here on the site as well as on Twitter at @thewbdotcom where we will have up to the minute information, photos and video. I’m not sure what they mean about ticketing for panels since panels don’t work that way. I am interested to see how they change the autograph sessions though. I know there were plenty of complaints about The WB Booth last year. I’m excited to see the new booth design as well. I’m actually excited about everything! What WB shows are you looking forward to? I know it’s hard to believe but there’s a ton to do in San Diego outside of Comic Con. It’s shocking! I actually give myself a few extra days in San Diego in order to enjoy everything else the city has to offer. Here are just a few of the wonderful places and sites you should check out while in town. The San Diego Zoo: I didn’t get a chance to check the zoo out last year but it’s #1 on my list for this trip. A one day pass for adults is $40 and for children $30. They offer special experiences as well like the Inside Look tour and Backstage Pass. The Whaley House: If you’re into the paranormal you’ll want to check out The Whaley House. It’s only $6 to in which is a great deal if you ask me. The Whaley House has been on “Fact Or Fake,” “America’s Most Haunted” and other TV shows. San Diego’s Whaley House is listed by the United States Department of Commerce as an authentic haunted house! PETCO Park: If you’re in town on Sunday the 17th you’ll be able to see the San Diego Padres take on The San Fransisco Giants. The game is at 1:05pm. If you can’t make the game don’t worry! You can go on a tour of the stadium during the week. A tour is $11 and tours run approximately 80 minutes and include 1.5 miles of walking. The USS Midway Museum: I checked this out last year and loved it. There aren’t many places where you can board an aircraft carrier! Adults are $18 and if you’re active military you can board for free with valid I.D. You’ll find 60 exhibits on board along with aircraft and a gift shop. If you’ve got enough time, you can always check out L.A. as well. You can rent a car, take the train or even use a tour service to get there. Gray Line San Diego offers a few different tours including The Movie Stars Experience, Disneyland & Universal. They range in price from $71 to $105. If you’re looking to stick around the San Diego area, you can find different San Diego tours as well. Another Side Of San Diego Tours offer a wide range of tours including Gaslamp Segway, hiking, food and even hot air balloon tours. If you’re looking for something more laid back perhaps the Old Town Trolley Tour is more up your alley. If you’re a fan of the outdoors don’t forget that San Diego is home to some of the most beautiful beaches and parks. You have Mission Beach, Old Town San Diego State Park, Balboa Park and Torry Pines State Reserve. That’s just a small sample of the outdoor activities that the San Diego area offers. This post really could go on and on but I don’t want to drag it out too much. I suggest checking out TripAdvisor for a list of activities. They even rank them for you! Another good resource is SanDiego.Org. You’ll find an event calendar, coupons and even a free vacation planning kit! If you have a favorite spot to visit or suggestions on other things to do while in San Diego drop them in the comments! If you are a seasoned Comic Con veteran, you know that going from your hotel to the con center via rental car is a royal pain. Some hotels boast shuttle service but you just end up waiting an hour for one to become available. Here is a solution you might consider. 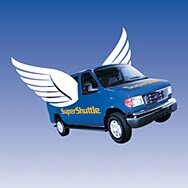 If you are a CHUCK fan like I am, you may have noticed a shameless promotion for Super Shuttle in the middle of last week’s episode. Well now, in an effort to ‘Save Chuck’, fans are partnering with the transportation service during the San Diego Comic Con. CHUCK fans and their friends/family, who book with SuperShuttle between now and the end of July will get a 10% discount by using a special online code: CHUCK. This is a great way for fans to show real value to the sponsors and it gives non-Twitter fans an opportunity to participate as well. 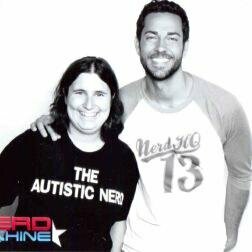 So please help us in asking fellow CHUCK fans to spread the word (FB, LJ, Blogs, etc) and to support a key sponsor. Hope that the SuperShuttle rides into SDCC are one big CHUCK partay! 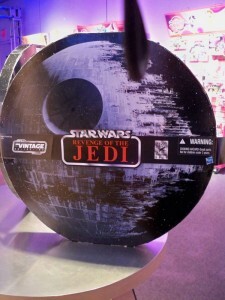 Although these were originally debuted at the 2011 ToyFair trade show here is a run down of this summer’s con exclusives offered by Hasbro as of today. I do expect to see more items between now and then, though, considering a standalone Transformers exclusive, anything from Mighty Muggs, Superhero Squad, and an SDCC themed My Little Pony are a few glaring lines absent from the list, not to mention out of left field last minute additions such as the 3 ¾” Movie Spider-Man figure. With the Captain America movie debuting the same week as the convention don’t be surprised if you see ANYTYHING cashing in on the opportunity. Although there are no real photos or price points released here is a look at what is to come. 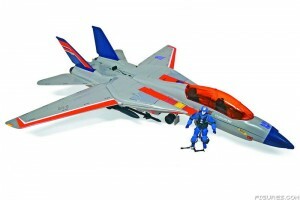 First up is a GI Joe AND Transformer cross-over in the plastic form of Cobra Commander piloting a Starscream-styled SkyStriker. With the popularity of the crossovers in other mediums I bet this will be a very popular exclusive. I am not too familiar with the Joe characters despite being an eighties baby but is it good to have more figures of girls. 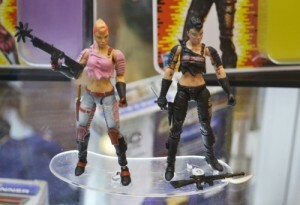 This figure comes in two styles, a blonde with a pink shirt and the variant in all black. If last year’s SGT Slaughter scramble taught me anything it is that the variant of an exclusive will sell out FAST. Like Olympic track running fast. Marvel Legends is back! Kind of. This resurrection of the uber-popular six inch line comes in the form of a Heroic Age costumed Thor. With the fan base this line has and the releases being few and far between expect this to be a sure winner. 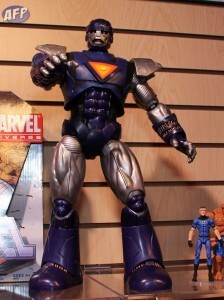 Continuing off the heels of last year’s success with Galactus, Hasbro is offering a large Sentinel robot in an oversized blister pack and a suitcase featuring art by Joe Quesada. To separate it from the retail release, this robot will be dark purple. I suspect this too will do well. A six figure set cast in the 3 ¾” scale, this was supposed to be the final wave of action figures that was scrapped before release. Being now repurposed as a con exclusive, this set includes “Ultimate” Indiana Jones, Satipo, a German mechanic, Toht, Marion Ravenwood, and Indy disguised as a German. Although the final package pictures are not out here are the figures. I do not think these will do well since the line over all did not, but this show is the key market to sell them at. Not shying away from the bulk sets this year, Hasbro is unloading the mother of all shipping nightmares in the form of this twelve figure set that comes in a massive Death Star styled case. 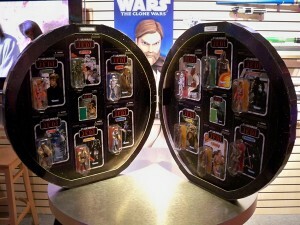 Celebrating the upcoming anniversaryof the initial Return of the Jedi release, this case opens to reveal the figures. Included in this set are the full sized 3 ¾” figures of Jedi Luke Skywalker, Stormtrooper, Endor Han Solo, R2-D2, Darth Vader, B-Wing Pilot, Admiral Akbar, Boba Fett, Endor Rebel Trooper, Wicket, Slave Leia, & a Tie Fighter Pilot. Also, there are the two Mouse Droid and Salacious Crumb mini figures in the same scale. This is going to be nuts so good luck to ANYONE getting this at the con or even buying it on ebay.